If you want to both protect yourself from the cold and create your unique style in winter, then this sweater is for you ladies! 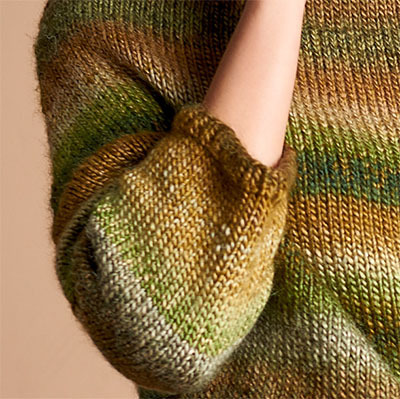 This easy sweater pattern is a great choice for beginners. I am happy to share this sweater pattern in which I brought the compatible colors together. I believe that this is an ideal sweater knitting pattern for those who like to attract the attention all the times. 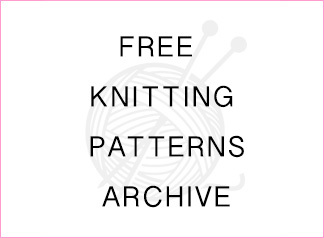 This is a pattern which can be considered easy even for the beginner knitters. 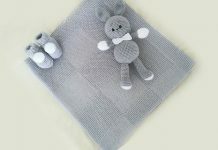 I’m answering all kinds of question regarding the pattern on my blog. Good luck! How to Easy Knit Sweater? 1- Work front and back pieces separately, but in the same way. Cast on 80 stitches; after working 2 rows of rib, open 2 buttonholes at 10 cm interval. Work 2 cm of 1+1 rib and switch to knit stitch. 2- When body length is 15 cm, increase 10 x 2 stitches at both ends on every row for armholes to obtain 120 stitches. 3-After knitting 2 rows, decrease 35 x 1 stitches at both ends at every 2 rows to drop to 50 stitches. 4- When knit length is 50 cm, center the stitches for neck, and bind off 30 stitches in the middle. 5- Finish after decreasing 5+3+2 stitches at the neck side on every row. 6- Prepare 150 cm of cording and use it as a belt. Cast on 54 stitches. Work 2 cm of 1+1 rib and switch to knit stitch. 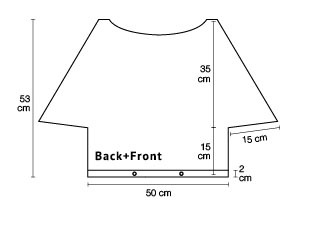 Finish when the sleeve length is 18 cm. Pick up 105 stitches on the needle around the neck. Work 2 cm of knit stitch and finish. I need to make a larger size – 40-44.. Can you give me that numbers of stitches needed for the larger size. 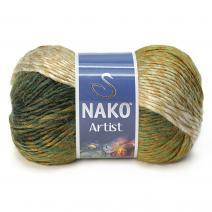 Also is this made on size 5 needles using Chunky Yarn. The need size seems to be too small for the size of the yarn. Appreciate your help at your earliest convenience. Please try a yarn with these features. Is the needle size 5 correct for Chunky yarn?? You can increase it proportionally for larger sizes. The needle size refers to the Euro metric. It will be 3.75 size to the US measure. I am pleased to answer your questions. Thanks for the good pattern. Glance complicated to far brought agreeable from your works! I ask to you about the this pattern. By the way, how could we communicate? excellent pattern you have right here on this post. Just came across your website & I love it. 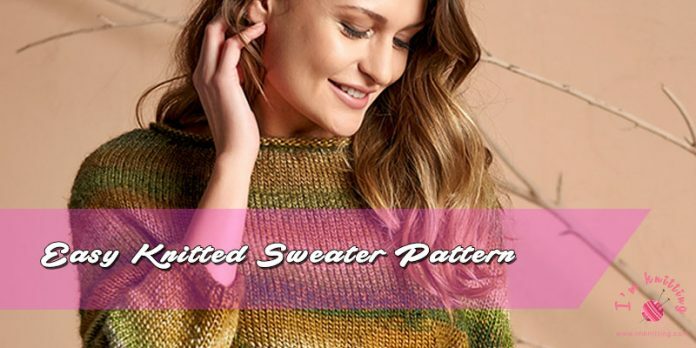 Thanks for coming up with an easy sweater pattern. It’s going to wk perfectly for me as I’m more of a beginning Knitter. I’ll be back for sure.